Home F1 "Liberty has a task similar to that of Theresa May with the Brexit"
Christian Horner assures that no agreement will be adapted to all the teams: "At some point they will have to make a decision". 30 June 2019. This is the deadline that Liberty Media has to reach an agreement with the teams and approve the remarkable change that it intends to promote in the championship from 2021 that includes technical and sports regulations, commercial framework and governance. Asked by these negotiations, Christian Horner misses the dictatorial figure of Bernie Ecclestone, since in his opinion, the whole strategy can not be based on expecting the teams to reach an agreement between themselves. "Chase Carey has a task similar to that of Theresa May with the Brexit: no agreement will adapt to everyone and time goes on, at some point she will have to make a decision Bernie Ecclestone was a dictator and that, in some aspects, This is what this sport needs. 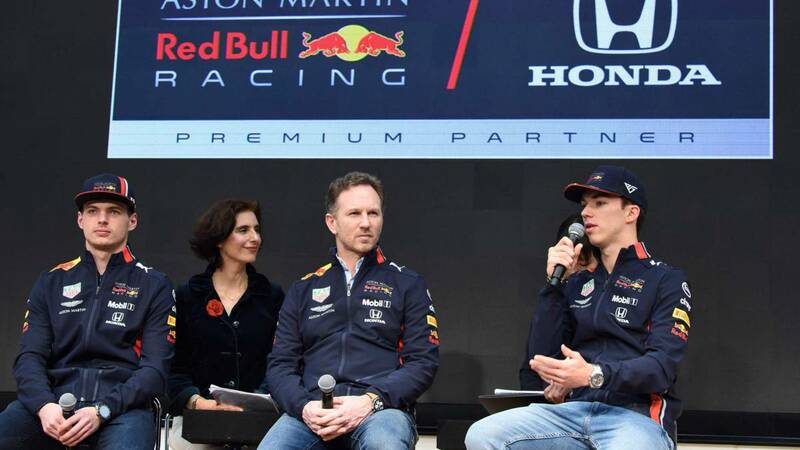 The teams can not be expected to agree on anything between themselves, they are interested in themselves, the plan for 2021 and beyond must be resolved by the end of June, "says Horner. The former pilot English continues his praises to Ecclestone not discarding even a hypothetical return to the 'Great Circus of the leader of Ipswich: "You can never say with Bernie.It would be unlikely that with 88 years of age can get involved a lot again, but we are talking about Bernie. You never know with him, he may one day buy the sport again, he is still in good shape, he stays close to the teams, the promoters, the governments ... Liberty It has addressed the areas in which it was weak: the technologies of the future and the digital media. But in terms of negotiating an agreement, there is no better person than Bernard Charles. " Finally, the head of Red Bull predicts in 'Daily Mail' that it will take three races to order the grid, although he expects Ferrari to be the force dominant in Melbourne: "There is a genuine sense of optimism for a more competitive season than in recent years. Melbourne throws strange results and it will take three races to get a clearer idea of how everyone is doing. A three-way fight between Lewis, Sebastian and Max would be perfect, with young people strengthening behind. It may depend on who can develop most efficiently until the first weekend of December in Abu Dhabi. That would be great, but Ferrari will start strongly and I hope we do not get left behind ".